Before we moved here I designated a purpose for each room. My studio was to be in the basement bedroom so I could contain the mess and wouldn’t have to bother Steve when I’m hammering. I did my best at assigning rooms, considering that we saw the house only once before the movers were at our house after closing (click for saga). So after moving in I quickly realized my studio is cold, dark, and small. 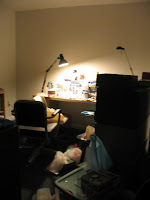 I never even unpacked all my stuff, rarely felt like making jewelry, and often took my computer to happier spots (like “Cheryl’s room“) in order to avoid the basement. And once we had the movers bring all our stuff into the designated rooms, I wasn’t about to change the rooms around. I had made a decision and was sticking to it. This photo is how it looks in the middle of the day. I could bring in more lamps, but it’s still cold and cramped. Are you tired of me complaining about it yet? 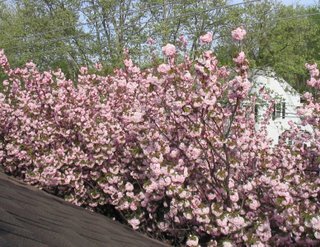 Did I mention I could see cherry blossoms and clouds from my bright old studio? Sigh. So anyway yesterday Steve and I spent the day at home (for once!) working around the house and yard. He mowed. I weeded. We moved the old sofas down to the TV room to make room for the new sofas (and so we don’t have to sit on the floor to watch TV). 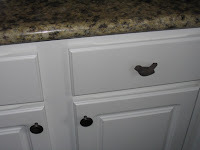 I put the new knobs on the kitchen cabinets. We ate dinner with my mom (Dad’s visiting my brother). We relaxed outside and played with Riley in the wonderful lack of humidity. And I finally decided that the room assignment was a mistake and (as much work as it will be) we are going to move my studio above ground. Steve is really supportive, probably because he’s tired of me complaining. We started by moving the virtually unused guest bed to the small, virtually unused spare room, clearing the bigger room (with 2 windows!) for my studio. When I walked in the empty room I actually got choked up with relief and excitement. I’ll post photos when I get everything in there because it will probably be the last time it is clean. We closed yesterday on our house in Delaware, which brought an end to an exhausting week. I can’t imagine how much harder it would have been if we had tried to move ourselves! Anyway, we’re now in Virginia. It has been a really emotional week for me, and I’ve already had moments of missing my Delaware pals, wondering if we’ll find our niche in Virginia, and struggling with whether we made the right decision. That being said, I did get choked up yesterday when I got my first glimpse of the Blue Ridge. (Delaware is pretty darn flat for those of you who aren’t familiar with it). And it was so sweet to hug my parents and know that we’re not saying goodbye for a long time. I’ve lived in PA & DE for 11 years, so it’s like I’m getting to know my hometown all over again. There’s been a lot of growth here due to DC commuters, but still nothing like the I-95 corridor. Steve and I went out for breakfast this morning and I saw a table full of people I know, and then we went to a home improvement show where I saw another familiar face, so it already has that small-town feel. I’m sure it will help to have a place to call home (2 more days!) and get buried in boxes and paint swatches. I can’t wait to get my studio set up, even though it’s going to be in the basement this time instead of the 3rd floor with skylights and treetops. Sigh. I’m fine, just going through a lot this week. You might remember that last fall I had a ductless air conditioner/heat pump installed in my studio. This spring was long and cool so I didn’t need the A/C until about a month ago, and then my frugal side kicked in and only wanted to turn it on when I’m actually in my studio. I’m sorry to disappoint those people who think I make jewelry all day every day, but many of my days are spent planning for classes, doing paperwork, buying supplies, and other things. I finally bit the bullet last week and turned the A/C on for good so I could go up and make jewelry any time I wanted to without having to wait for the studio to cool off (it’s a finished attic, so that means there’s about 6″ of insulation and a dark roof separating me from the sun). So today I went up to get my things together for class at Sparkles and I heard a little noise. At first I thought maybe it was Riley, or perhaps another furry friend sharing my studio. Then I heard it again and realized it was a drip. And then another one. Coming from the closet. The closet with about a hundred yards of fabric. (I used to have a bit of an upholstry-fabric fetish, and I am a packrat so even though I have no immediate use for all that fabric I keep it neatly folded in a hanging sweater stacker so it only takes up about a square foot or two of real estate). This closet wall is where the A/C unit is installed, so when I opened the closet door I realized that the back side of the unit is dripping water right down the entire collection of fabric. 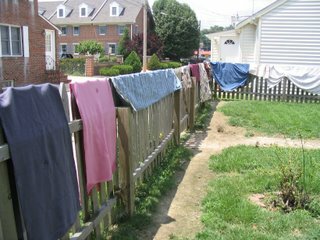 So, I dragged all the sopping wet fabric downstairs to hang on our fence until I figure out what else to do. According to some specimens I observed on certain pieces fabric (now in the garbage), this water has been dripping for quite some time. Of course on a Friday afternoon in the summertime, the HVAC service guys are indisposed. Thankfully the water doesn’t seem to have soaked through the floor; most of it is in the fabric. My jewelry pal Karen is coming down for the weekend to attend Lapidary Journal’s first Wire Fest. 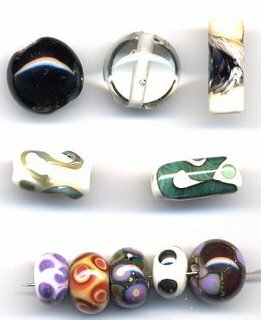 It is a place for wire jewelry artists to meet and share ideas, and it just happens to be in Wilmington. If you’re from the area, you may have seen a billboard for it on 95 right near the Blue Rocks stadium. I’m taking a class on Sunday, so stay tuned for the results! Not much to show you from this past week, but on Thursday I got together with my jewelry pal Cheryl who does silversmithing. 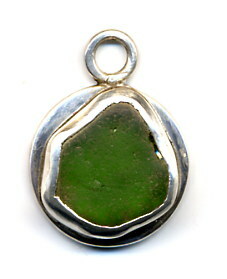 I want to get better at bezel-setting sea glass. The photo is the pendant I worked on with her. Today I cut back the mint that was taking over my baby rhododendron, so I boiled it down with some sugar and water to make simple syrup for iced tea. I’m not a big fan of bourbon, otherwise I would have muddled the mint and made a julep. I may just make one anyway because I have SO MUCH MINT. Sometimes I wish I had started blogging sooner just to look back and see what I used to do with my time before I had my own business. When we moved to Delaware I stayed home to work on our new old house and chase the puppy around. I found myself poring over decorating magazines and watching HGTV for half the day. Now that the house is pretty much how we want it and I have the jewelry biz, I hardly ever watch TV or read during the day. 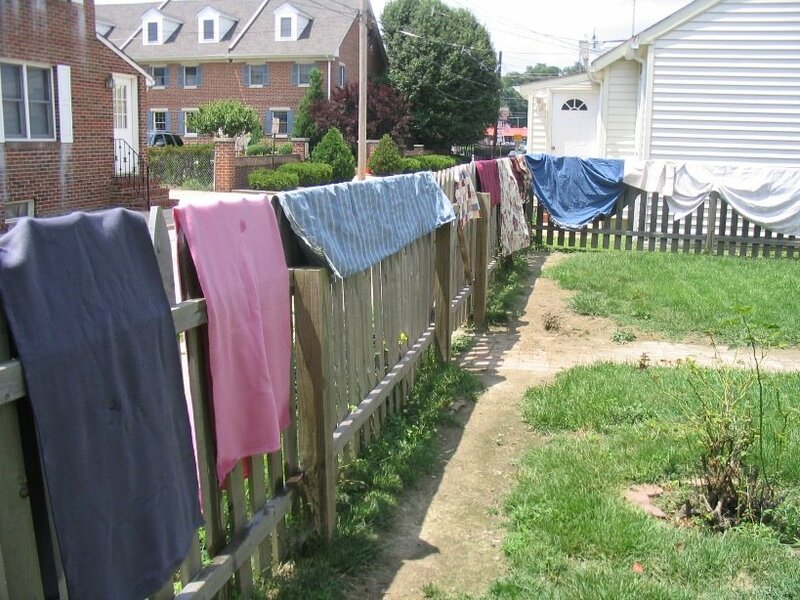 Laundry gets done when I run out of underwear. I am a piler, so even though it looks messy I know where everything is. I learned this from my mother. One time we cleaned up all the piles in her sewing room and put curtains over the storage shelves to hide the clutter, and almost immediately she said it squelched her creativity (or something) when she couldn’t see everything. My studio is like that so I just close the door. Steve and I got new cell phones because he needs one for the new job (starts tomorrow) and I am tired of running my battery down because the buttons get pushed in my purse. Turns out new flashy flip fones are free anyway, so I don’t know why I put this off so long. Lord & Taylor is going out of business at our mall, so I spent the afternoon bargain hunting — another thing I used to do and doesn’t interest me anymore. My idea of shopping is to take half a day and go to Ross; by the time I leave the fitting room attendant is tired of seeing me. Then I don’t go back for 6 months. Another thing I used to do is look for deals at the flea market. We don’t have room for any more furniture, so I don’t let myself go anymore unless I’m personal shopping for someone else. One new furniture addition, though, is a card catalog from the local library (they’ve gone digital). I’m going to teach some classes there this summer, so they let me have it for free. I understand these things are hard to find on eBay and shipping is problematic, so that makes this find so much sweeter. I love all the different drawers. Last week I labeled each drawer with a color family and organized my bead strands. As messy as I am, I do enjoy a good clean-up day. Riley has a love affair with our neighbor, Ken. At the first sight of his van she launches into an ardent round of whining until I let her outside so she can play. Other people play with her regularly, but she’s so much more excited to see Ken. 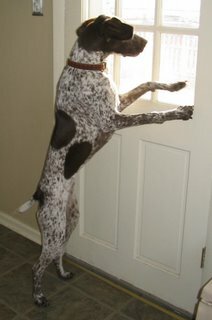 He’s asked before if he can bring her doggie treats, but Steve thinks he gives her pieces of filet (Ken’s a chef). Notice in the photo her right ear is airborne; I need to put in (( wiggle lines )) to show the animation. The bathroom is coming along… I walked this morning (brr!) and decided it wasn’t worth it to start painting and then have to clean up for my dentist appointment, so I’m catching up on paperwork today. I haven’t really been in the studio mood lately, if you haven’t noticed. 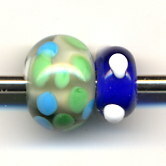 Part of that is my increasing obsession with learning to lampwork, so I keep calling the school we’ve chosen to bug them into getting some classes on the schedule. 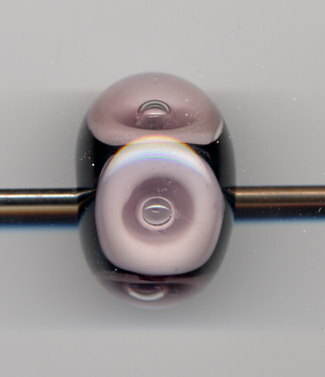 Steve and I watched a how-to lampworking video over the weekend and it was neat to actually see the consistency of molten glass and the timing of things instead of just imagining how it works based on a book. 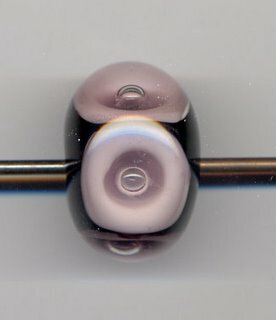 I have a tendency to research things a lot before I jump in, so while we wait for a class I’m reading what I can on lampworking forums so I’ll be more prepared for setting up shop. As a PSA, I’d like to mention that propane tanks (like the extra one for your gas grill)are not rated for indoor use and should NEVER be in your house. If they leak, the propane sinks and pools in the lowest level of your house (often the basement with little way to remove it). With the tiniest of sparks it explodes or burns invisibly until it catches something else on fire. I would venture to say that any damage caused by a propane tank indoors would not be covered by insurance. Fair warning!